Hello people! 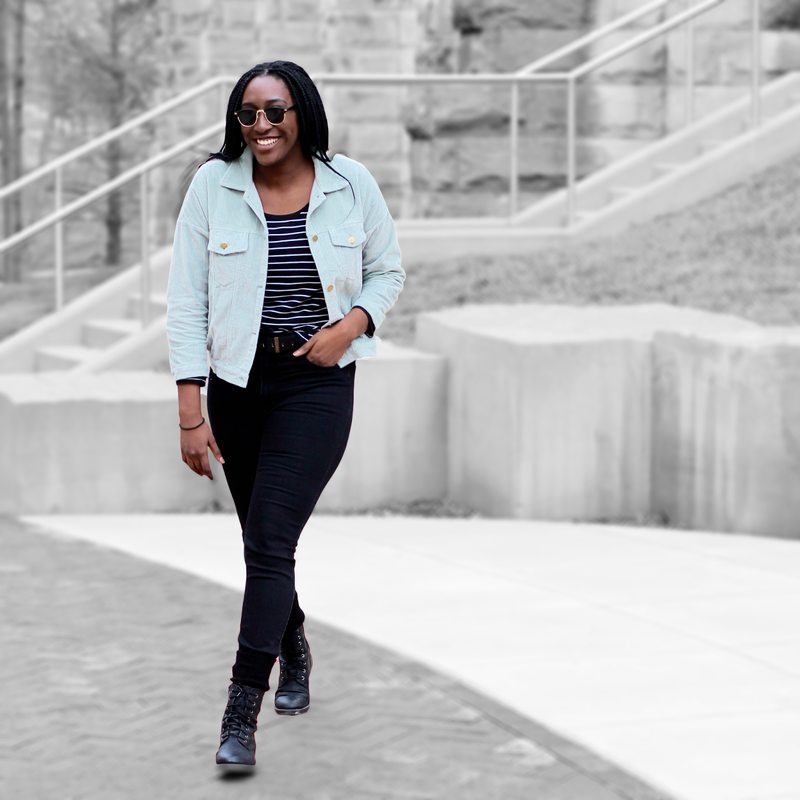 Today I bring you a winter to spring transitional look. The weather has been playing games with me. Last Thursday felt like summer and today we are back to freezing temperatures. That didn't stop me from wearing my new jacket from Shein! 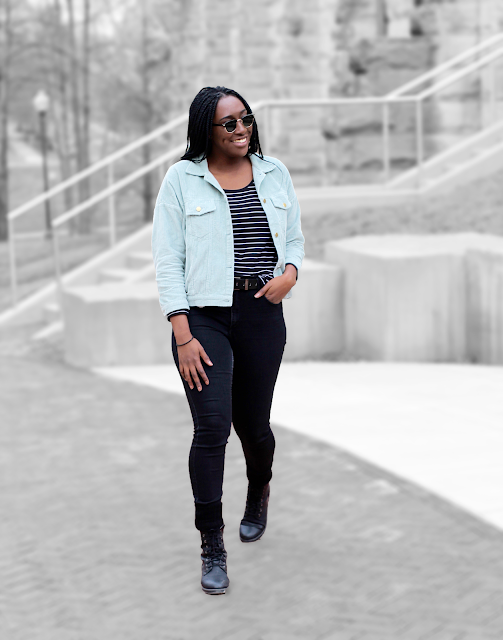 What you don't see is my huge black coat I wore over this outfit. 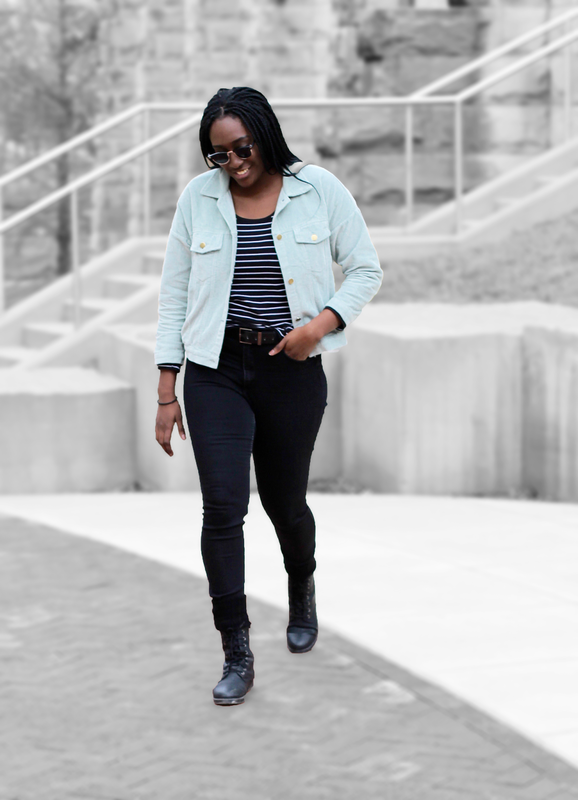 I wanted to show off my mint jacket, so I braved the cold for these pictures, #DoItForTheBlog. 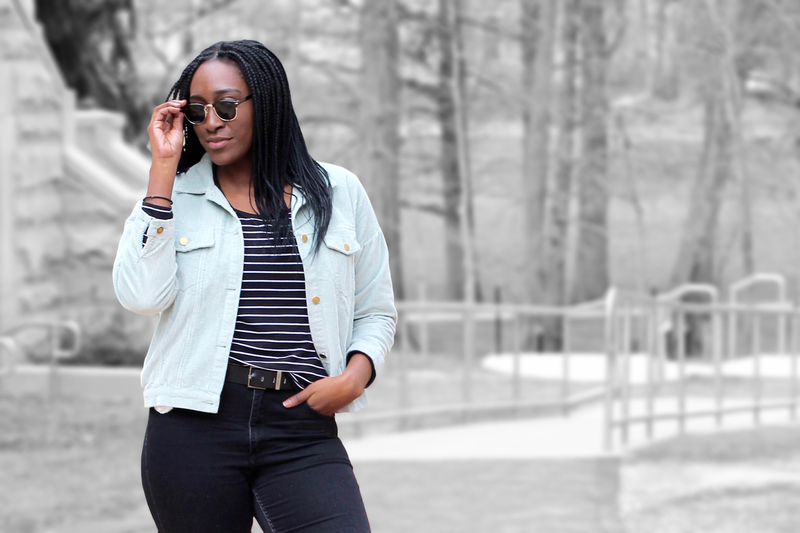 I wanted to mix up my typical black and white look with a pop of color and I think this jacket did the trick. What do you guys think?